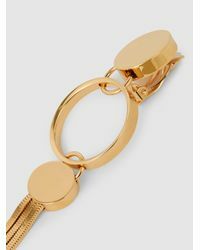 We check over 450 stores daily and we last saw this product for $593 at The Modist. 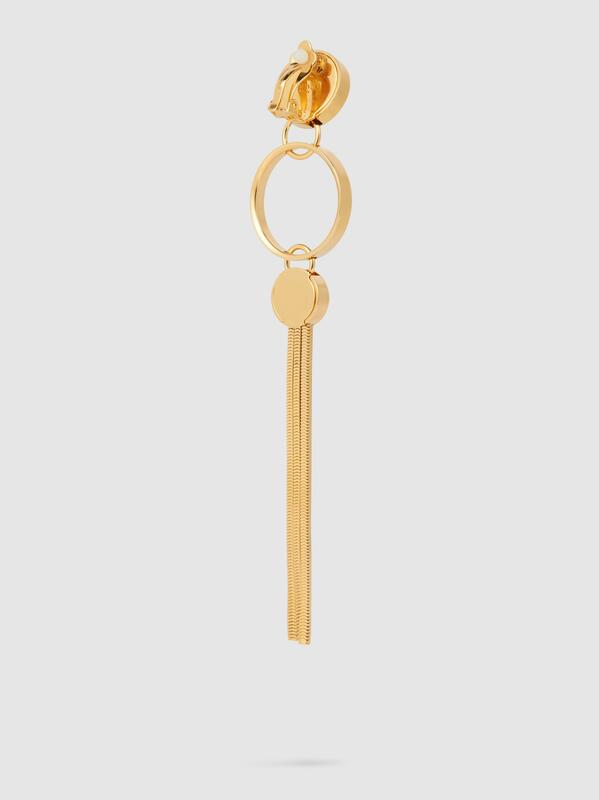 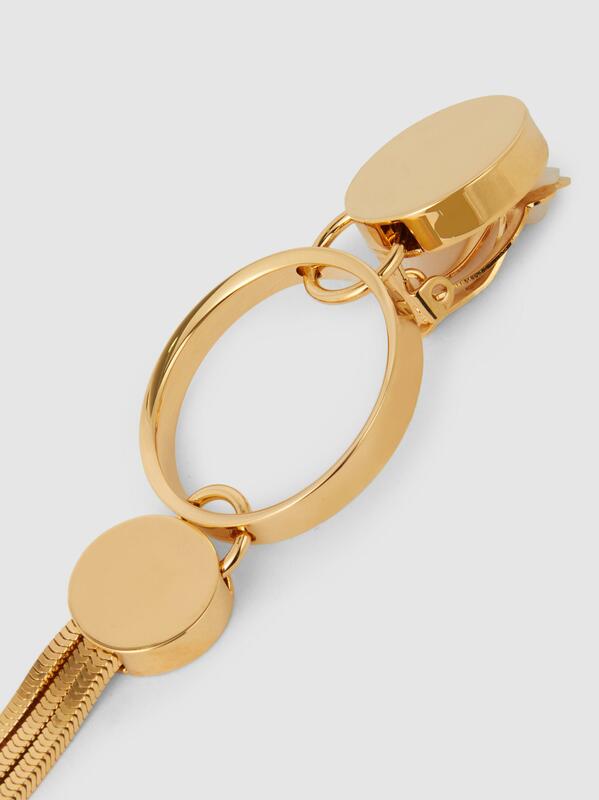 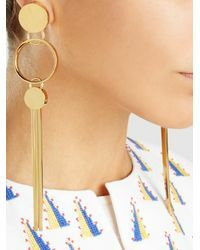 Lanvin's gold-toned earrings are made in France and strike an elegant chord with the labels sophisticated sensibility. 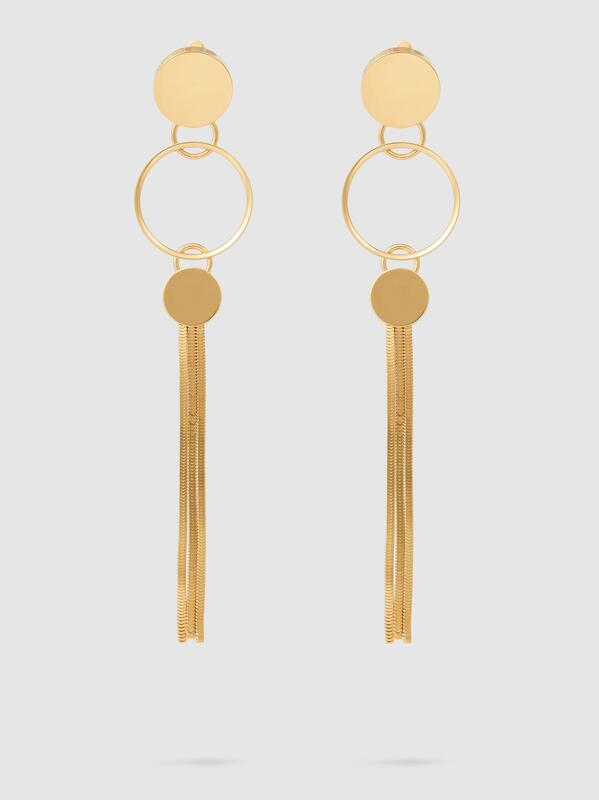 Anchored by a circular disk that clips-on to the ear, they fall through circular hoops that drop to three long chains in a shoulder-grazing finish. 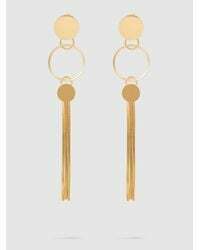 Wear them with a whisper-weight blouse for uncomplicated charm. 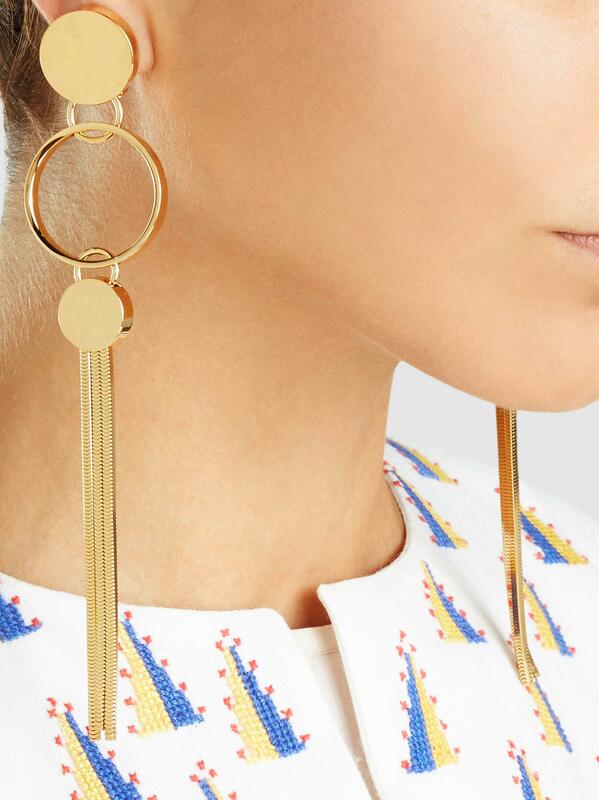 Styled here with: Maison Rabih Kayrouz Kaftan Clip on fastening 100% brass Country of origin: France.